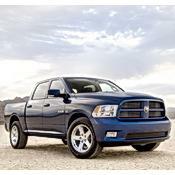 The Ram 1500 is the full-size Dodge half-ton pickup that is redesigned for 2009 with aggressive style now expected from the Ram but in a more aerodynamic package. The new design includes a body-mounted grille that is canted forward, an all-new aluminum hood with more pronounced power bulge, large headlights that flow back into the front fenders, a front air dam that is fully integrated with the front bumper and a rear spoiler integrated into the tailgate. Quality of engineering and TOTAL post sale support. No customer committment from Chrysler. I was really let down by the blatant refusal to stand behind the 60-day handshake and customer support they emphasize in their commercials. Thought it impoirtant for the working middle class to whom they claim to support be aware of the degree to which they really do not stand behind their quality or policies. Heat And Defrost Controls, It has 80,000 miles I am Original Owner, I have Spent 6000.00 in the past year on Steering Rack Calipers Ball Joints Repair on heater controls, battery, serpintine belt, The list goes on and on Do Not Buy From Harr Dodge They Fixed The Heating Controls Twice Under Warranty And Refuse To Make It Right! Wheel bearings, Power steering pump, Emergency Brake Assy Shattered While Driving Down Road. DODGE RAM IS NOT RAM TOUGH! The response from Chrysler to weakness was not pleasant. Tie rods are known problem with only resolution being that they have issued a TSB to dealers to check them. A technical service bulletin just tells service when they can hit you for the replacement. Every 35k miles. No fix or upgrade parts are offerred. Hemi of course, Drive/handling, ride, fit and finish is superb. This is really the best 1/2 ton truck I have owned. The Hemi is really refined, rides real nice, tows 6000-8000 lbs daily, I get 21 miles to the gallon below 65 MPH with 3.92 gears. I changed the the transmission oil at 20K and it shifts even better than new now. I HIGHLY recommend this truck. Things I would change is the tires as they really stink, I have 26k I have rotated every 3-4K and still have flat spots, the will get another 5-7K before they are dead. I am not brand loyal, as I owned all other brands as we have a fleet , however this is the best one yet. i didnt really want to get a dodge truck. cause my dad had a 2006 one and its wasnt a really nice looking. nor a nice riding truck and you could feel every dump in the road .. but this 2010 one is Great Great Riding , and i love the style the come out with .. looks really sharp..
My wife told be I had to write this review because of how I have been talking about this truck since I bought it. I have owned 7 1/2 ton pickup trucks and Suburbans over the last 20 years. I have owned Chev's, Fords and a Honda. As a urban dweller I love my Ridgeline, but work dictated I get a unit more capable of pulling a heavy load. I had sworn off North America designed and engineered vehicles after my Suburban went through its second transmission in 150,000 KM. I had no intention of owning a Dodge based on my previous experience with its rough ride, and poor interior features and fuel consumption. Needless to say I was very skeptical when I took one for a test drive. I was completelly taken back by its ride, power, quietness and roominess. It has more driver room than anything I have driven in the last 20 years. My 25 year old son was totally surprised by its smooth performance it steers, brakes, accelerates, corners and rides like a luxury car. To coin a old ad "this isn't my fathers Dodge truck". 2 weeks ago I drove it for 10 hours straight and got out of the cab with no soreness or stiffness. The Highway fuel mileage is very close to the 22 M/gal (Imp) that the dealer said I would get. My Partner bought a 2010 Ford Lariet 1/2 ton, and it is a great vehicle as well, but I must say the Ram is just a bit better. If the reliability of this truck stands up, I would say it could be one of the best vehicles I have ever owned. Time will tell. I have to give credit to the engineering and design team at Chrysler, they have come a long way. Ford and Chey 1/2 tons, Chevy suburban, Honda Ridgeline. The fit is weak, you cant realy open the lid fully once installed, blocks oil fill. parts that are not in the instructions. I bought my Rumble Bee in August 2005 and it has been a GREAT truck. Looks awesome, very few quality issues to speak of, and responds very well to cosmetic/performance modifications. Truck hauls tail with HEMI V8 combined with AeroTurbine exhaust, K&N and Superchips Flashpaq tuner. It's the number 1 truck out there for function with power, handling, comfort, interior room, and the best looking thing out there. If your budget can handle the gas, get this truck!!!!!!!!! Eats gas, Replaced lock actuator. This truck is sharp, fast and eats gas like you wouldn't believe. If you want a truck for function, this is THE TRUCK! If you want it for transportation then don't buy this truck. Mine has a Hemi, it's a performance vehicle. The worst MPG I have ever gotten out of is 15MPG and on the highway, if you dare to drive this slow, at 68 miles per hour it get 19+MPG. You go 75 it'll get about 16MPG. For some of you the MPG may not sound bad but I drive over 30000 miles a year and it gets costly. After 90,000 miles I had to replace a lock actuator $200 and front brakes. After 120,000 miles It still has orig. rear brakes and still 1+ years of life left. The original set of tires lasted 60,000 miles and at 110,000 got my 3rd set of tires. This truck has a VERY VERY sharp turnig radius. It handles and performs like a sports car. And due to my wife, we have had 2 Ford Explorer's JUNK JUNK JUNK.... DO NOT BUY THIS CAR!!! I have a no words to express my dissatisfaction I have with my 2002 Dodge Ram.